Beat Challenges a Charities Faces in Fundraising. It is regular that all dimensions of foundations face difficulties with regards to Raising Funds . Finding another giver or maintenance of existing benefactors are the most difficult assignments for any charities. Incredible storytelling can beat these difficulties. Why Storytelling is Important for Fundraising to Charity. Storytelling is essential for fundraising support to any Charity. It isn't just around a single one-way discussion, but great storytelling interfaces with benefactors inwardly, it encourages contributors to associate with charity associations for a more extended period that drives gifts to charity consequently. Every one of your donors has their very own story. They may have even the issues your charity is hoping to address direct. Tap your donors base to discover incredible, genuine stories from on the ground. Utilize those accounts to comprehend your benefactors' inspirations, their interests and their battles, and offer them with other potential givers to strike an increasingly close to home harmony. You can even utilize them as tributes on your site or social records. 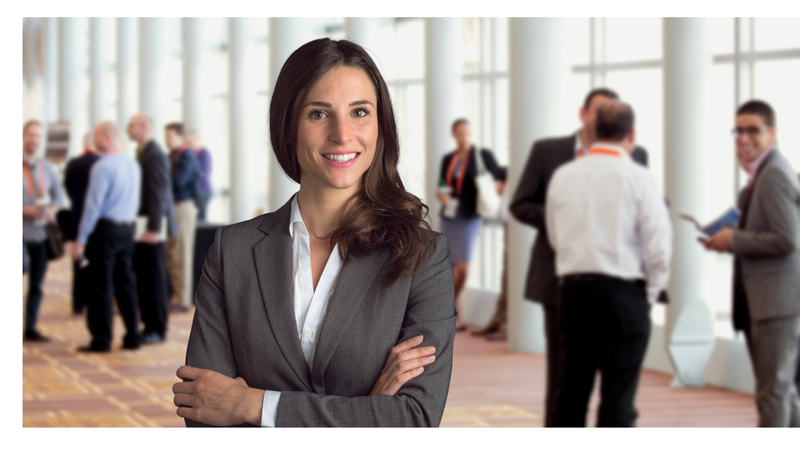 Need more help boosting your raising money endeavors? At that point agree to accept iConnectX today. As a considered charity on our stage, you'll appreciate duty free donations from Professionals and executives everywhere throughout the world. Join and have a brisk glance around or contact iConnectX today to find outmore. A special thank you to St. Martin's Press and NetGalley for an ARC in exchange for an honest review. 5 Stars ++ Best Cover Love! 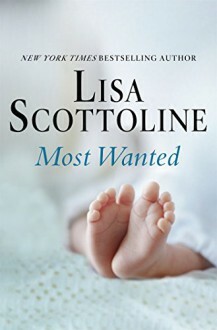 Lisa Scottoline's impressive MOST WANTED, is an emotional gripping mix of domestic suspense, action, drama, wit, mystery; psychological, crime, medical, and legal thriller --all rolled into one "killer" page-turner! Top Books of 2016 List. What would you do if you discovered the father of your child may be a sociopath? Christine and Marcus Nilsson are having a baby. Due to Marcus shooting blanks, and many failed attempts at conceiving, the couple decide to go the sperm donor route, versus adoption. After much research, they decided on Donor # 3319 with a sperm bank. A promising medical student, blonde hair, blue eyes, and a terrific background. Perfect, right? Her last day at school at her going away party--teacher, Christine sees a news broadcast of a serial killer who has been arrested for a series of murders--killing nurses. She thinks he looks similar to their donor's photo. She becomes obsessed with learning the identity. She has to know. At first, Marcus is not concerned; however, the more they uncover, it could possibly be true. Marcus and Christine do not agree on the path to take, causing all sorts of conflicts, as things begin to spiral out of control. Tensions are high. From hiring an attorney (loved Gary), to try and force --with a lawsuit (Homestead Bank), to uncover information as to the donor, to martial problems and stress between the couple. Marcus wants no part of a serial killer's child, and even mentions abortion. In the meantime, Christine is frantic, having just left her teaching job she loves to prepare for motherhood, and now this. Her life is falling apart. The baby, the husband, the life she dreamed of. Marcus is not acting like a supportive father. She recruits her best friend and decides to take matters in her own hands. She does not have time to wait for legalities. She needs to know. Fearless, she will go straight to the maximum security prison to meet with the donor, and pretend she is a freelance reporter. She will not tell her husband---a girl's getaway. She will get answers, one away or another. Christine is one sharp cookie! However, the trip delivers more than she expected. The serial killer, says he is innocent. This guy looks nothing like a killer. What happens next will lead Christine to turn to some major sleuthing--from becoming a paralegal, working with an eccentric lawyer, and a full crime investigator in the trenches (she could give Janet Evanovich's Stephanie Plum a little competition--especially with the "Ranger" connection) --too funny. All the while pregnant, desperately seeking answers to prove if her donor is, or is not a serial killer. Without her husband's help or support. (loved her tenacity). Marcus feels threatened; from his own manly issues, and now his wife is running after a serial killer. The mystery and suspense intensifies, with more complications surrounding the murder, where we meet a cast of secondary characters which add some wit and fun to balance the ongoing impending danger. All the while, a good looking serial killer is in prison, spinning more stories than you can imagine. There is so much evidence; however, Christine feels Zachary is innocent one minute, and guilty the next. The only way to prove it is to find the real killer, if indeed it is not him. When more people turn up dead, there is cause for alarm. She has to help. A copycat? Her husband thinks she has lost her mind. Christine is in danger of losing her husband, marriage, family, baby, and her life--- the closer she gets to the truth. Who is the real serial killer? What a multi-layered complex, fast-paced enthralling whodunit! Ordinary people" caught up in extraordinary circumstances. Your head will be spinning. MOST WANTED poses controversial, ethical and moral dilemmas, as well as highly charged contemporary legal domestic topics. No one does it better than Scottoline --From superb character and plot development, to a strong unstoppable female heroine--you will root for. With plenty of intensity, twists, and turns to keep you glued to the pages. Readers will get a kick out of the "partners-in-crime" duo (Christine/Griff-lawyer) personalities; strongly reminding readers of the Oscar-winning tour de force “Erin Brockovich” (Julia Roberts) and Edward L. Masry (Albert Finney) team. Lisa Scottoline's best yet! Fans and new readers are going to LOVE! Vicq & Elaina ARE BACK!! I was given a copy of 'Donor' from Amber Ella Monroe, in exchange for an honest review. Having recently read the prelude to Donor, I couldn't wait to sink into this book, to find out how things progressed after the cliffhanger from 'Prelude'. 'Donor' is book 1 in the "Dresden Coven" series, but I do sujest you read this series in order, starting with 'Prelude". Once I started I was quickly enthralled in Vicq & Elaina's life after Vicq escapes the Vampire Lords dungeons. I was LOST, I didn't want reality to interrupt what I was reading, so much was happening inside this book. District 5 still have a bounty out on Elaina & do evertyhing in their power to capture her, especially after what her blood reveals. All Elaina & Vicq want is each other, wheather or not Elaina stays how she in or is turned. Then it ended, oh what an epilogue I read, how steamy was that scene?? I can't wait for the next book in this series, I need more of Vicq & Elaina soon!! Casey had a dream to be a marine biologist. But then her father was injured, and everything she earned at her job was needed to help pay his medical bills. With her life at a standstill, Casey didn't think things could get worse. And then the headaches started. And the nosebleeds. At first, it was seemingly just a migraine with maybe a nosebleed because of the pressure. But then the headaches started lasting multiple days and the bleeding happened more frequently. After a round of tests and more medical bills - hers this time - Casey hears two little words that will forever change her life. In her quest to make her life mean something, Casey decides to do what she can to quickly earn money to pay off her medical bills and continue to help with her father's, not knowing how long she will be there to help. Reaching out to a wealthy man through a special "invitation only" site, Casey flies from California to Boston. This man is wiling to pay for something that he can only get from a living person... and there are worse ways to make money. The Donor is a starkly realistic view of cancer and the mindset and decline of a young woman's suffering. Intertwined with Casey's story is the story of the man she flew to meet, and his reasons behind requesting Casey as a Donor. Glimpses into Jonah's life and past give us a reason to hope for the characters and to both laugh and cry - but mostly cry - at the circumstances they find themselves in. This is not your typical "Happily Ever After" story, but the ending is probably the best that it could have. I wavered on my star rating, because while this story touches me deeply, there is something about the ending that just leaves me unsatisfied. It feels unfinished, as if the characters are just holding their breath until we come back to hear the rest of their tale. Even though I know what the ending should be - which isn't really what I want it to be - I would still want more closure for this to be a perfect story. Thank you to the publisher and Netgalley for providing me with a free copy of this book in exchange for an honest review. I received a copy of The Donor (The Full Novella) via NetGalley in return for an honest review. I'm not sure how I feel about this one, I read it pretty fast and it held my attention but there was something missing. Don't get me wrong it was a good plot and had twists to it but it just felt like it needed more. It's a short read but I think it needed expanding, I felt like I was filling in missing parts myself a little. I wanted to know who the characters were previously, who they were as themselves before the situation they found themselves in. I feel it would have made a huge improvement to the story and how I felt about the characters to have gotten to know them a bit better outside of their intertwined story. The topic in this novella isn't an easy one to write about and it's done well. The way the story is written jumping back and forth portrays the upheaval, fear and confusion of Casey nicely. It gives the impression of scattered thoughts and her mind being a bit all over the place which really works. I don't feel like I got to know Jonah very well at all, there were hints to his background but not enough, he didn't feel real. It felt a little like he was thrown in just to make Casey's character work rather than sharing the story with her, he needed more substance. The romance felt a little rushed, I get that they didn't have much time and it's only 115 pages but I found the chemistry lacking somewhat. In summary, it was a decent, tragic and unique read with with an underlying message, but I would have loved a little more background to make the characters more substantial.